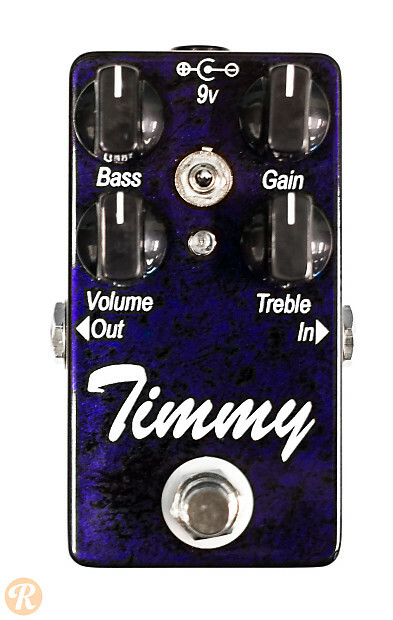 The Paul Cochrane Timmy is a smaller version of the Tim overdrive pedal. In comparison, it lacks the send jacks and the boost channel, but maintains the same overdrive circuitry and tonal transparency. It is sometimes seen in casings with different finishes, including white and sea foam green.